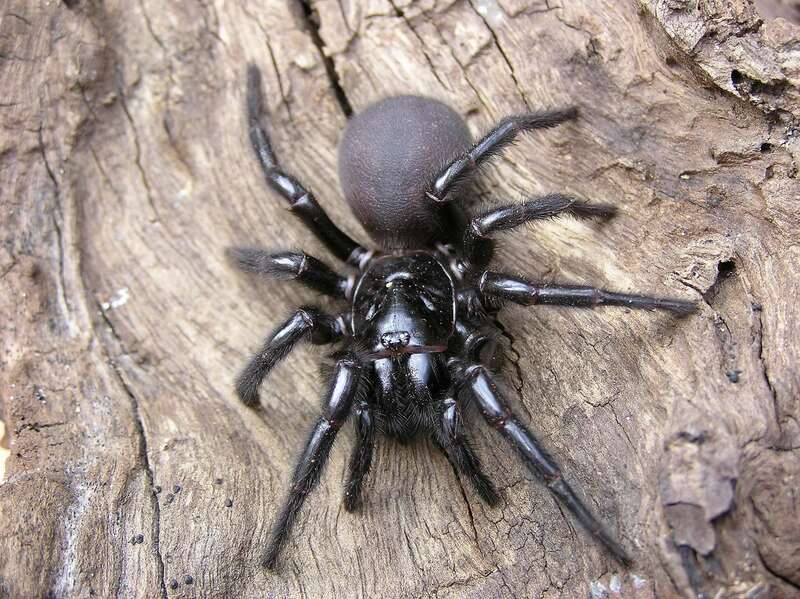 Today is Halloween, so today I want to write about a really scary animal, the Sydney funnel-web spider. These large spiders grow up to 3.5 cm long, with the females much larger than the males. Sydney funnel-web spiders live in small burrows in the ground. They line their burrows with silk. They also have threads outside their burrow which move when their prey goes past. They mainly feed on insects, but can also eat small lizards and frogs. They have very powerful fangs and their venom is strong enough to kill a human. At breeding time, the males take a risk to breed with the females as they may be eaten by the much larger female. They produce an egg-sack with over 100 eggs. Sydney funnel-web spiders are found in forests and urban areas throughout New South Wales. They can be found in backyards, which makes them very dangerous. Are there any other interesting facts that you would like to share about Sydney funnel-web spiders? Hi, Hayden, I am probably old enough to be a great-grandmother, but I really enjoy your site! I stumbled across it researching mosquitofish. The reptile and gator farm in Colorado has geothermal water resources and they raise gators and fish. Their website mentions mosquitofish, so I had to learn more since I live where there are too many mosquitoes! All the best with your blog and your future plans!